It can really be a little thing that makes all the difference! For the past few weeks (or more) our caravan has been making a wretched noise, in the morning when it's cold, when I turn the wheel...squeak, squeak, squeaking all the day long. I know that noise was grating on me because it meant something needed to be fixed. I had hoped with the purchase of the van last February we would have ensured a repair-less year (we haven't had one of those in awhile). Needless to say, the noise was getting on my nerves and I was putting off the inevitable. Yesterday, as we pulled into our parking lot at church, my husband made an exaggerated turn of the wheel and brought my attention to the fact that it was no longer making that horrid noise. A miracle! Well, not exactly. Apparently the van was sorely lacking power steering fluid and since my husband had filled it up the noise had stopped. I hadn't asked him to do anything about the sound, other then remarking at how annoying it was. I figured we would have it fixed when we take it for inspection in March so I didn't press. Today as I drove my son to school and myself to errands I found myself smiling. Not because I had just won the lottery, but because my van was no longer squeaking. Oh, my goodness it certainly is a little thing that made a big difference to me. I know the secret to a wife's contentment! Know her heart. Anticipate her needs. Love her without promptings. I know the secret to a husband's contentment! When you notice the "little things" your husband does for you, particularly without asking, when your heart is full because of something he did or something he does, then TELL HIM! Encourage him with words of affirmation that his actions brought you joy. Not because he needs to hear how great he is, but because you are thankful and it is loving to share that with him. 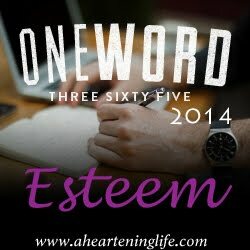 Last Tuesday, as I was driving home from helping in my son's classroom, I was overwhelmed with contentment. I felt so thankful that I could spend that hour with the kids. I drove home to work on editing a video project. I contemplated my week ahead and the "freedom" I have as a stay-at-home Mom and again, a wave of contentment. I called my husband and I thanked him. Thanked him that because he gets up early, works hard as a remodeler, sacrifices time and energy to provide for our family's needs, I can be at home for my kids, I can volunteer in the classroom, I can take photographs of families, I can edit video projects that inspire me, I can have this beautiful life that I have and not feel guilty about it. That he supports what I do and encourages me to do what I love. --That my husband fixed that squeaky noise on the caravan without me asking, nagging, or prompting. --That 3 of the 4 holes in my ceiling (remnants from doing our roof at Thanksgiving time) are now filled up. --For the freedom to be a stay-at-home Mom and the opportunity to do things that I love because of my husband's sacrifice and support. --For the cheerful yellow of a daffodil bloom in my front yard in February. --For Christa Wells, Audrey Assad, Jason Gray, and Kari Jobe who's worshipful music stirs my heart and reminds me of His truth! --For a healthy weekend, a reprieve from the stomach bug and winter colds. --For close friends that share life and are willing to be vulnerable. --For blessings that come from obediently following God's leadings and the strength to do the hard thing. "Live like there's no tomorrow. Love like I'm on borrowed time" (Jason Gray, "Good to be Alive"). There once was a man who while at work eagerly awaited his return home. This same man would plan and long for the day vacation would finally come and he would have a week of restful, quality time with his family. This man would plan the details of romantic dates with his wife. He had a vision of what it would be like and he looked to it with eager anticipation. But whenever the time he awaited finally arrived he got distracted. Either the details of the plans got in the way, or someone else's mood, or perhaps the idea of it all was much more exciting then what actually was. It was like he forgot how to live in the moment. Instead of enjoying himself and relishing in his family, the moments passed by without relevance and his precious time was squandered. Perhaps it is human nature to live in constant anticipation, but if we are always looking ahead to what is to come, what are we missing in the present? 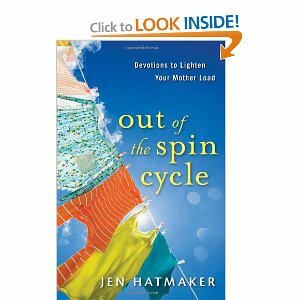 I've been reading a devotional (highly recommend) by Jen Hatmaker called "Out of the Spin Cycle". 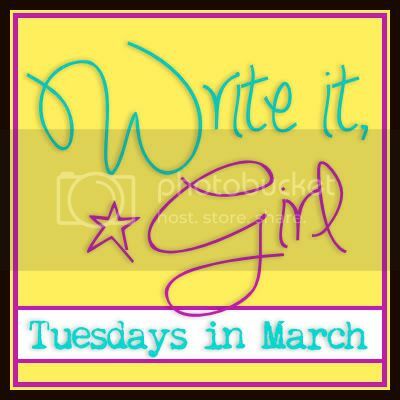 In her chapter named, "Today is Tomorrow's Yesterday" she writes about Exodus 16 and how the Israelites were wandering in the desert without food or drink. The Lord told Moses, “I will rain down bread from heaven for you. The people are to go out each day and gather enough for that day. In this way I will test them and see whether they will follow my instructions" (Exodus 16:4). Everyone had as much as they needed and whatever they didn't eat that day would spoil (Exodus 16:17-20). "Don't obsess about tomorrow. Live in this day, without worrying about what you'll do or need later. What is nourishment today will be spoiled by tomorrow. Enjoy it today or enjoy it never." Life is short. It feels like just yesterday when my children were babies. When they were under my care all day. In each phase of life I have struggled to not look with anticipation to the next phase; the end of breastfeeding, done with the diapers, able to dress and feed themselves, preschool, full-day kindergarten... Once we reached those milestones new ones take their places; middle school, pre-teen attitudes, pimples, heartbreak, learning to drive. Oh, my! I don't even want to go there yet! The loves in my life will not always be here. I don't want to look with anticipation to the future and miss what is happening right now, today. I don't want to be so busy worrying about tomorrow that I forget the beauty of today. I don't want to squander my opportunities and allow myself to become so distracted by life that I don't take the opportunity to snuggle my sick seven-year old or play a video game with my nine-year old. You can't go back. You don't get a do-over on those opportunities. Your time is precious, if not to you then to someone who loves you. Be here, now. Valentine's Day is just another reason to stop, take it all in, and appreciate who you have. Celebrate the loves in your life. "Enjoy it today or enjoy it never." "At the heart of personality is the need to feel a sense of being lovable without having to qualify for that acceptance." In 2010, my husband was working on a bible study about understanding your wife's heart. One of the questions he asked me was, "When do you feel most accepted by me?" It was the first time I had really contemplated what it meant to be "accepted". Did he mean as a person, as a woman, as his wife? I remember I answered the question by telling him 2 occasions when I have felt unaccepted, but I continued to think about it even after our initial conversation was over. I learned that "accepted" means to be "taken, received, assumed, approved, adopted, recognized, endorsed, verified, acclaimed, welcomed, engaged, hired, claimed, delivered, used, employed, affirmed, upheld, authorized, preferred, acknowledged, accredited, allowed, settled, established, sanctioned, unopposed, customary, authentic, confirmed, chosen, acceptable, popular" (Webster's New World Thesaurus). When you really think about it, being or feeling accepted is probably one of the strongest desires we have relationally as human beings. Doesn't everyone want to be welcomed, recognized, affirmed, acknowledged, and chosen? 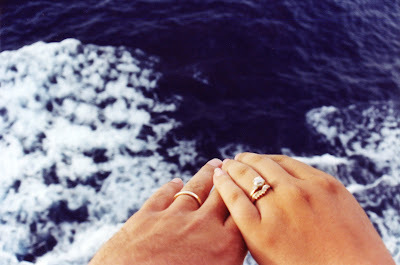 I want that, not just from my husband, but from other people. Sometimes we act as though we don't care what anyone else thinks. We may withdraw, build walls, act eccentric, and even say we don't care, but "Adam" was lonely without "Eve" and I have to believe that deep within it hurts to not feel accepted, no matter who you are. Daily we give people the power to determine whether we are acceptable or not! Unless we have a healthy dose of self-esteem and confidence in who we are the words & actions of people can really rock your world. And likewise, we judge, criticize, and condemn others for being who they are. Who are we to decide whether someone else is acceptable or not? After much thought, the answer to Adam's bible study question became more obvious to me. I feel most accepted by him when I feel loved. I am loved and accepted when I feel like it's okay to be me. Acceptance is giving someone the grace to be who they are inspite or despite their mistakes and their quirky, annoying habits. And it's the same grace we hope others will extend to us under the same circumstances. Accepting someone does not mean enabling or denying their sins. We are not to judge or hold their sins against them, but we can still love them. The Bible calls us to "speak the truth to each other" (ZECHARIAH 8:15 NIV). "If someone is trapped in sin, you should gently lead that person back to the right path...offer each other a helping hand" (GALATIANS 6:1-2 CEV). God loves you and accepts you, all the time, unconditionally. We practice love by doing the same, loving others not because of who they are or what they do, but simply because they are. This is an edited re-post from 2010. 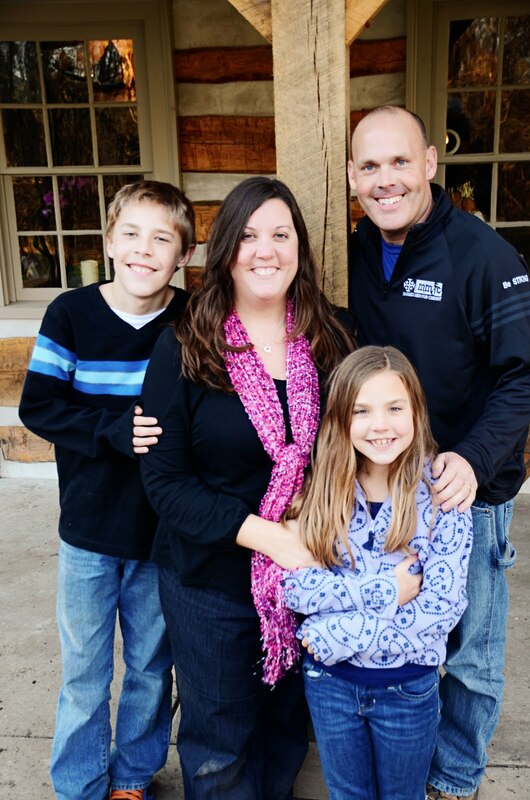 "[Love] always protects, always trusts, always hopes, always perseveres" (1 Corinthians 13:7). "How do we love in difficult places? ", Ann Voskamp asks. Is it as simple as the words of 1 Corinthians 13? During trying times I usually find my way back to...self. Protecting myself, trusting in myself, hoping in myself. Old habits die hard. But that's not what love is. In Matthew 22:37-39 Jesus tells us to “‘Love the Lord your God with all your heart and with all your soul and with all your mind.’ This is the first and greatest commandment. And the second is like it: ‘Love your neighbor as yourself." Notice how it doesn't say love yourself? Why is it when difficulties come it is so easy to forget about love? "For the mouth speaks what the heart is full of. A good man brings good things out of the good stored up in him, and an evil man brings evil things out of the evil stored up in him" (Matthew 12:34-35). It's because I feel. I get caught up, caught up in myself and my own fears and hurts. I forget. And sometimes I lose hope. But God doesn't often leave me there. Once the initial storm cloud dissipates He reminds me, sometimes through a song, sometimes through others. And sometimes it's always been there, a quiet knowing, but I have gotten in my own way. When things seem bleakest, there is ALWAYS hope. And if I can steer myself back to 1 Corinthians 13 and love that way, even if I'm not feeling it, that this is how God wants me to respond to others. This "man God has given me to love for the rest of my life" and I don't always see eye to eye. Sometimes we find ourselves scrambling for the Light in the midst of a dark time. When the very thing we feel the least like giving is the very thing that will bring us out of the pit. "I'm bankrupt without love" (1 Corinthians 13:3 The Message). Bankrupt. Empty. Just like the pit. "Trust steadily in God, hope unswervingly, love extravagantly" (1 Corinthians 13:13 The Message).